A quarter-century after Northwest Forest Plan's adoption, many species that dwell in old forests haven't fared better. A new study evaluating the impact of the 1994 Northwest Forest Plan after a quarter-century found that it greatly reduced logging of old trees in national forests, but hasn't stemmed losses of birds in such habitat. The study, by researchers from Oregon State University and other academic institutions, was published Monday, Feb. 4, in the Proceedings of the National Academy of Sciences. Researchers stress that the Northwest Forest Plan, adopted at the behest of then-President Bill Clinton, was conceived as a blueprint for the next century, and wasn't expected to produce significant positive impacts on biodiversity for 50 years. "Douglas fir can live to be more than 800 years old and grow to be more than 100 meters tall, so it shouldn't be surprising that it is hard to 'restore' this forest type, and that any plan to do so will take a long time," stated Matt Betts of OSU, a leader of the study team, in a news release. The study goes well beyond past research into the fate of spotted owls and marbled murrelets, two species known to be hit hard by the depletion of old growth forests and other environmental changes. 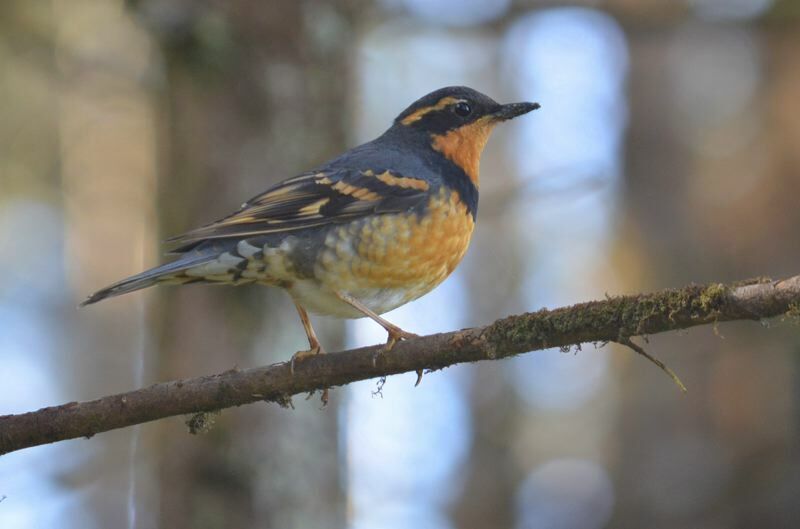 Researcher found that other species associated with older forests, such as the varied thrush, golden-crowned kinglet, Pacific-slope flycatcher and Townsend's warbler, continue to struggle on federal and private timber lands. "The plan has been one of the most impressive forest conservation strategies in the world, and there is no doubt that it has had a strong positive impact on the conservation of old-growth forests," Betts said, "but our results show that even with these strong conservation measures, bird species living in this system still aren't doing too well."